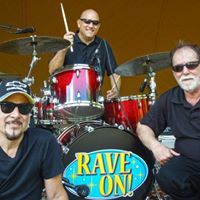 We are counting down until our next show this Saturday, May 19th at 7:30 pm – “Rave On” – The Music of Buddy Holly, Roy Orbison, and other legends. Call the Box Office today! They are open Monday through Friday from 10 am to 4 pm. “That Will Be The Day”….. “It’s So Easy”…..